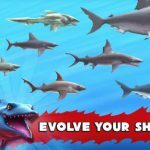 Ubisoift’s Hungry Shark World is a new Android and iOS game that is the sequel to the previous game Hungry Shark Evolution. In this new game, the sharks have returned, and as you may have inferred from the title, they’re out to take over the world. 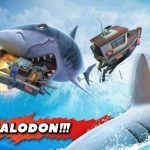 In this aquatic adventure game, you will be in control of a “very hungry” shark, and your goal is to last as long as possible and to eat everything you could in order to stay alive. There are 17 different shark species to collect across seven different tiers – this includes everything from hammerheads to great white sharks. 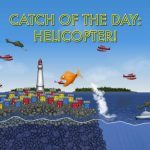 The game will also allow you to “rise through the ranks of the food chain” as you level up and upgrade your sharks, and to explore three different aquatic worlds, including the Pacific Island, the Arctic Ocean, and the Arabian Sea. Apart from that, there are hundreds of enemies (including humans, apparently) and 20 different types of missions. Unfortunately, being a shark is not as fun as it seems, even if you consider all the stuff you can eat and all the ways you can make your shark better. However, it doesn’t have to be all that hard, as we’ve compiled some tips and tricks and included them in this Hungry Shark World strategy guide. You can earn a lot of gold and do it fast by completing missions and by opening daily chests. Each day, there are five chests for you to find and to open, and each of those chests can reward you with gold – think several hundreds, or even thousands in some of the chests. For example, in the introductory Pacific Islands level, you can earn as few as 500 coins by opening the first chest, or as many as 2,100 coins in the final chest. Be patient when swimming around in the levels, and you just might be able to find the chests. Just be sure to make it quick, as these daily chests are only around, as their name suggests, for a limited period of time. As for the missions, these are your quests, or objectives that can normally be completed by naturally playing the game. But if you know what your objectives are, you can complete them faster; you’re given three at a time, and you can earn some gold if you can complete them all. 2. What Upgrades And Special Items Should You Buy? Instinctively, you may be most interested in the upgrades that allow you to make your shark faster and stronger, which are Speed and Bite. As you’ve got enemies to deal with and more prey to eat, it’s important that you upgrade your shark in those areas. But you should also buy the map, as it could provide you with some benefits you may not have known were available. For 500 coins, you can get this item and use it to find different kinds of bonuses, including the locations of the letters that spell the word HUNGRY. And for an additional 100 coins, you can also get the daily chest locations. Gems are Hungry Shark World’s premium currency, and you can earn more of them by going to the in-app store and watching an ad video. 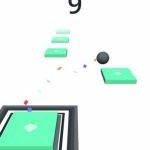 You can earn a hundred coins per ad video watched, or you may also win two gems, depending on the button you had chosen. And while two gems may not sound like a lot, you can easily make this add up by watching as many trailers as the game can serve up. 4. How Can You Unlock Bigger Sharks? A lot of the fun in the game can be had when you have access to the bigger, fiercer sharks in the game. But before you move up in tier and unlock them, you should eat enough sea creatures and land creatures (by that, we mean people), and score enough points. All these will help take your upgrade bar to the 100 percent mark, thus allowing you to move on to the next tier. You can also spend gems in order to move up in tier, but really, would you want to do that often, considering they’re the premium currency? The gems in the game can be used to continue a round after you’ve gotten killed, though this should only be used if you were so close to achieving something important in the game, such as a mission, and only if the option to watch an ad video wasn’t available. If you were still far off from completing your missions, then we advise you to hang on to your gems for the meantime. 6. Eat The Gold To Go For The Gold Rush! Interestingly, some of the fish, birds, and people in the game are colored gold, and no, we’re not talking about literal goldfish. Eating these creatures will earn you more gold than you would if you ate normal-looking animals or people, and will help you fill up the gold rush bar. Once your gold rush bar is maxed out, you’ll be launched into a fever mode, where all the fish in the game will temporarily turn into gold and you’ll also be invincible. You can also use this fever/gold rush mode to destroy the mines (which would normally kill you), and blow them up. Generally, this game will reward you most if you keep on eating. But how can you make the most out of the stuff that you can eat in this game? For one, you’ll be rewarded with a score multiplier if you eat several fish consecutively. That multiplier will go up if you keep on eating fish, and would therefore allow you to earn more points. And if you eat all the fish in a school of fish, you’ll get a special “School’s Out” bonus, which can also add up nicely to your point total. And this wraps up our list of tips and tricks for Hungary Shark World. Stay tuned, as we will update this strategy guide, whenever we discover more hints!